Have you heard people saying, you have to put your book on pre-sale? Do you know what that means? Even more importantly, do you know if pre-sales are important for your book launch? What is a pre-sale period? Pre-sale period is the time between the upload of your book for retail listing and when it will ship out to readers. Now, here’s when things get a little confusing and can be kind of tricky. A pre-sale period is not mandatory nor necessary. But, unless you’re only selling your book on Amazon you’re going to need time between when your book is done and you officially make it for sale to the world. There are a lot of things that have to happen before it’s really the right time to launch your book completely. For starters, you have to make sure Amazon, Barnes & Noble, Chapters Indigo, Kobo, Apple, or wherever your book is going to be available, have been set up right. Book Launchers takes care of all of that but it still takes time to populate the catalogs across these companies. Each retailer has its own schedule and process. Use your pre-sale period to build a foundation of success for your book’s launch and give these places time to properly populate. How Long Should You Set up For Pre-Sale? Again, you don’t need to do any pre-sale period. But, if you do, generally it’s ideal to spend a minimum of two weeks in pre-sale but not more than three months (Ingram Spark will let you spend up to a year in pre-sale but Amazon e-books can only be on for pre-sale for 90 days). So what are you doing during this pre-sale period? Check distribution, pricing, and other meta-data at all distribution points. Sell copies to your early reviewers at a discount. Send readers to Amazon and other stores to buy books. 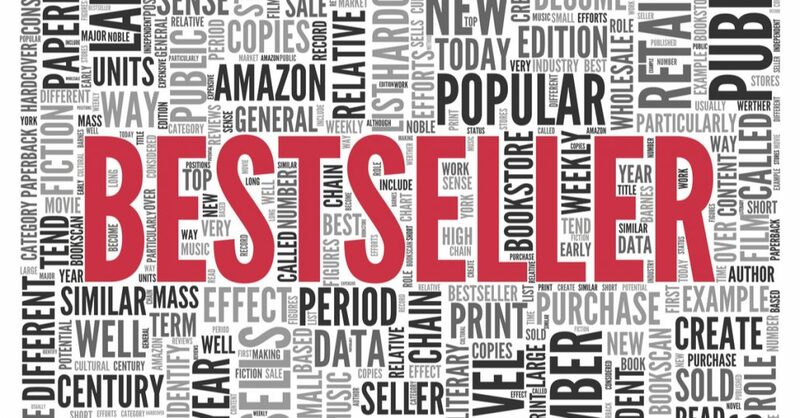 If your readers are buying print copies, these pre-sale orders all add up and count as sales on your release date when the book ships out which gives you a good chance at cracking some top 100 bestseller sub-genres lists top 100 bestseller subs on top 100 bestseller sub-genre lists on sites like Barnes & Noble and Apple. If readers buy on Amazon, it counts the day the purchase is made. For the E version of your book on Kobo, the sale counts twice. They actually give it twice the weight as a regular sale so it’s easier to rank higher in pre-sale on Kobo. So woohoo for Kobo. Pre-sales help prevent inventory shortages on launch day. This helps reduce the likelihood you sell out on launch day and Amazon shows this temporarily out of stock message. If that happens, Amazon often tells a buyer the title is going to ship in four to six weeks. You will lose sales if it does that. Titles that are in stock will be listed as available and will ship immediately and that’s what you want. Unless your book is on a really timely subject like a tax loophole or some brand new technology, then I would not rush the release of your book. YouTube is a powerful platform for being discovered and connecting with potential book readers. But as an author, you might be thinking there’s no freaking way you’re getting in front of a camera and shooting a video. The reason you write, you may be thinking, is to stay behind the screen, not get in front of it. I get it, but I also think video marketing for authors is one of the easiest ways to stand out and build an audience in 2019 and beyond. When I started shooting videos in 2009 it took me 30+ takes just to get a mediocre video but I kept going. And, I am glad I did. My old YouTube channel helped me sell a lot of books, courses, and make money! And, it’s not too late. If anything, video only continues to grow importance. Video is not going away. YouTube is a gigantic search engine where you are not getting found right now if you’re an author without a presence on YouTube. And by the way, who owns YouTube? Google! So you’ve got an already gigantic search engine being owned by an even bigger search engine, you got to get on there. 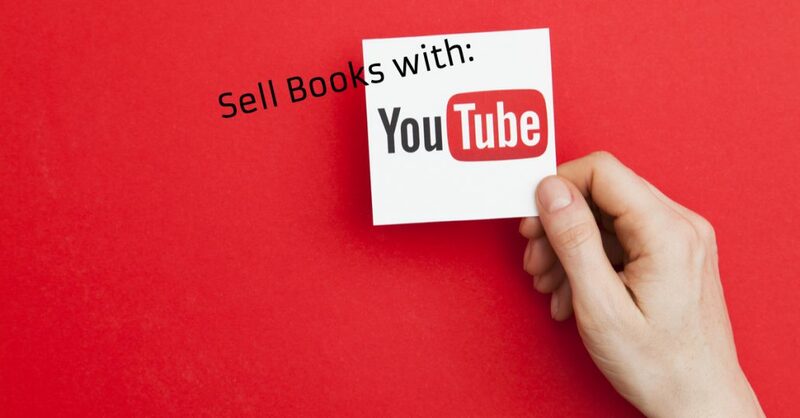 YouTube isn’t just a great way for you to create a community of people who will buy your books. YouTube supports you creating multiple streams of income as an author. And shooting videos will help prep you for the insanity that happens when you do live media interviews. Doing a quick segment on a local or national news show is probably the craziest experience you’ll have when you promote your book. 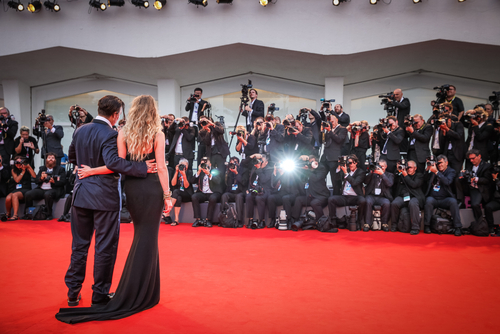 And, if you’re comfortable in front of the camera already, you’ll be much more likely to do a great interview. Finally, YouTube is where people are actively, seeking to solve problems. Most people mindlessly scroll through Facebook or Instagram. YouTube tends to attract viewers who want to learn something or they have a problem to solve. So, now you know why I highly recommend creating a YouTube channel for video marketing to promote your book. What should you do? Number one, choose your channel name wisely. I wouldn’t name it after your book. Personally, I’d do it after your business or your own name, so you can build a community around it, and use it to promote what you do beyond the book. It probably won’t be the last book you write, and a year from now, you might be tired about talking about your book. You want to stay in touch with the subscribers you’ve worked so hard to connect with, so choose your channel name so it fits the area of your book but allows you room to expand away from your book in the future. Your own personal name can work depending on your business. Number two, start your channel before your book comes out. If your book is out, it’s not too late. But if you can start your channel three months before your book launch so you can begin to build up an audience to share your book news with, that’s ideal. Number three, plan your content. Look at your book and pick 10 to 12 tips you can pull out of your book, and turn into three to five-minute long videos. The single important tip to achieve x result. Five things you don’t know about this subject, but you should. Or, three myths about this subject. 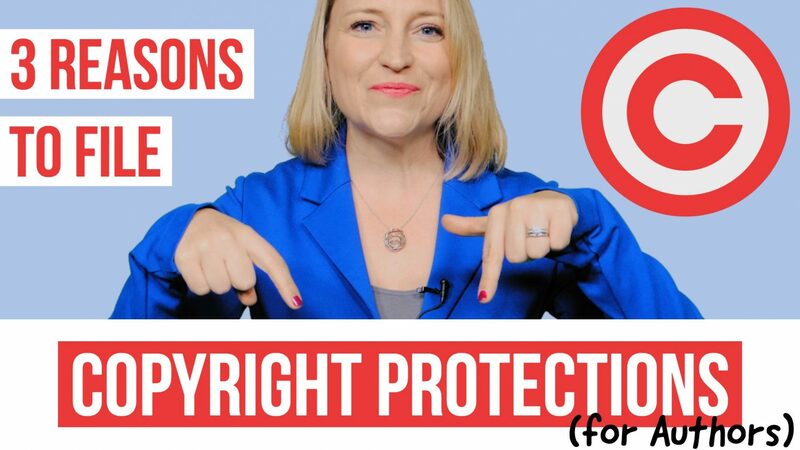 You already have this material in your book, just grab those short soundbites, and sketch out key points for your video. Number four, block aside a whole day to shoot your first set of videos. The first time you shoot videos you’re probably going to scrap a dozen takes before you start to get rolling, and really get in a groove. And then once you’re in a groove, you can shoot four or five or more and then you’re set for a month of weekly author marketing content. If you want it to look like you’re shooting videos on different days just change clothes. Number five, invest in some lighting and a mic. A shotgun mic for your iPhone is fine. Shure has some great products to help with this. It’s a small amount of money for a big difference in quality on your shoot. (These aren’t referral links … just sharing exmaples of what I’ve used). Number six, I recommend hiring a video editor, but in my early days I did all my video editing myself. I bought Final Cut Pro and spent hours on YouTube learning the ropes. But there’s plenty of iPhone apps now that allow for basic editing for your videos, and make a fast upload. Just keep it simple. It’s far more important that you start posting, then you worry about perfection. And if you don’t want to worry about perfection at all, go live. Right now it’s still acceptable to go live without high production value. Just be well lit, with good sound, and pay attention to what’s in your background, and go for it. Number seven, plan to post at least once a week, every single week for the time leading up to your book launch, and ideally for the months afterwards. Consistency is so critical, I can’t emphasize it enough. And if you want to get the absolute best tool to help you improve your channel and track your progress as you go, I highly recommend MorningFa.Me. I love Morningfame’s analytics and recommendations. Every once in a while large batches of Amazon book reviews get removed from the Amazon site. It’s one of the worse things that could happen to a book post-launch. Reviews matter a lot in buying decisions, and we all need those reviews to be honest. Gaming Amazon shouldn’t happen easily or we’ll all suffer. Purges aren’t necessarily a bad thing, but systemized approaches to cleaning up a system inevitably kills some good with the bad. Because there’s surely another purge coming, it’s a good time to refresh yourself on Amazon’s policy. Amazon does not want your friends and family to review your book. Friends and family are biased but how does Amazon know who are your friends and who is a family member? Amazon has access to a plethora of data, so there are plenty of ways for them to figure it out but here’s an obvious one that you may not have considered. Amazon can find your friends via Facebook. Stick with me for a second. Amazon owns Goodreads. One of the main ways to sign into Goodreads is via Facebook. So, here’ the tip of the day: Don’t be lazy, create your login and disconnect it from Facebook. If you connect the two, data sharing allows them to figure out who your Facebook friends are. Disconnect Twitter and disconnect Facebook from Goodreads. There have also been a lot of reports of people who give gift cards to folks to buy a copy of their book for review having those reviews removed. If someone receives a free book for an honest review it’s essential they add a disclaimer. It needs to say something like I received a complimentary copy of this book in exchange for an honest review. do not try to review a book and then get your husband to review and then your kid to review, it doesn’t work. Also, Amazon explicitly says, you may not manipulate the Amazon verified purchase badge by offering special pricing to reviewers or reimbursing reviewers. Rest assured, if you’re hustling to get reviews like you should be, you’re not paying people to write good reviews and you’re not trying to game the system in any way, your legitimate reviews will likely stick. But take that extra step of not connecting anything to Goodreads or anything else Amazon might have their hands on. Reviews are essential to the Amazon business model and you better believe they’re doing everything they can to protect them. Amazon learns who is most likely to buy your book from the purchases and the reviews, and then they show your book to people who are just like the people who’ve already bought and reviewed your book. So if you’re aunt generally likes to read steamy romance books and the odd book on gardening, unless you’re Ron Neitzel, The Green Wizard, your aunt is not going to help your book. I know you’ve been looking for the magic book marketing bullet. You know, that one thing you need to do to sell more books and build a business around your book. Well, your search is over. This is the single most powerful book marketing tool. or some AI robot selling your book in malls, although that’s a pretty cool idea, isn’t it? The single most important book marketing tool is an email newsletter list. When I promoted my first book, I broke the Top 100 overall on Amazon with just my audience. It took the support of others to break through to the top, but still, it was my list that moved thousands of books to start the book launch. And, it’s not just bookselling. When I left my training and education company to start Book Launchers my first 10 clients came from my email list. The effort pays off over and over again. Regular email contact with your readers keeps you top of mind. When someone who runs an association needs a speaker, a book club needs a new book to read, media needs someone to interview, or someone asks for a referral to someone who does what you do, you’ll be much more likely to be the first name they say if you’ve had regular contact with them via email. 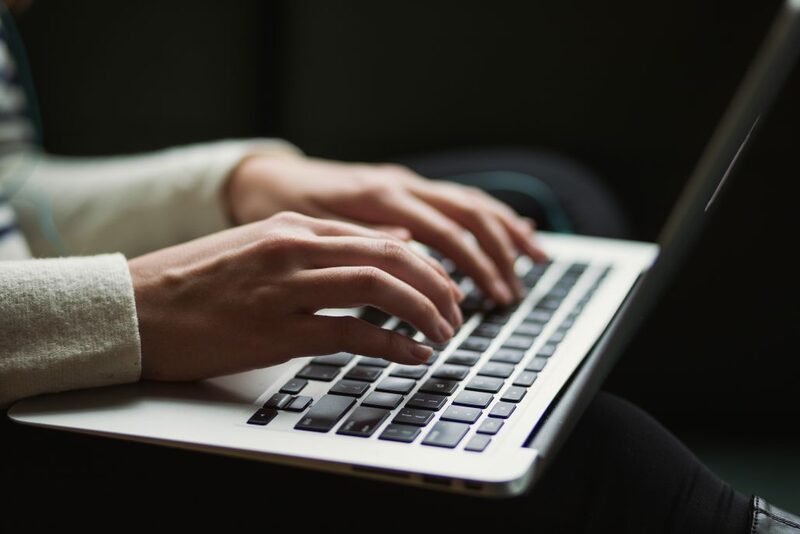 Emails may be ignored, but they won’t be missed like a 24-hour story that disappears or a post that drops down in a feed, never to be seen again. Side Note: If you want to see what I do as an author, and see a newsletter that regularly gets 30 to 40 percent open rates, (which is extremely high in the industry) go and get my monthly Broad Thoughts newsletter. 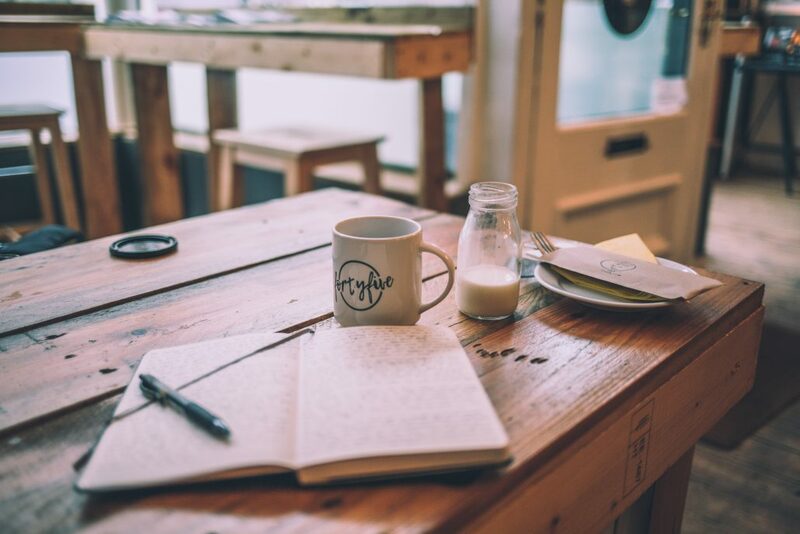 It’s a monthly content driven newsletter designed to create a connection and build a relationship with the readers, which is what you want to do as an author looking to sell your books. Number one, decide how often you’ll send a newsletter. Pick a frequency you can maintain. Be warned though, a low frequency like quarterly, risks people forgetting they signed up. If they don’t remember you, they unsubscribe or worse, flag your email as spam. Number two, choose a newsletter service. Focus on a company that has great deliverability, integrates easily with your website, and most importantly, is one that you’ll use. Don’t worry about making this newsletter look super pretty. Plain emails perform well. A lot of people like MailChimp. I used to use AWeber and loved their service. They had high deliverability, which means more people got the emails versus them going into spam. That said, the most recommended service for authors right now is a service called Convert Kit. The founder is an author and designed the email system for creatives like authors. Our Client Care Specialist, Jaqueline Kyle uses it for her author businesses and coaches clients to get it set up. She highly recommends it for its simplicity and ability to integrate easily with any website. Bottom line, you need a service to help you collect email addresses and communicate with them. Number three, put your opt-in form on your website. Most services have an embed form. You don’t need to know any code. But you can always pay someone five bucks on fiverr.com to do it. Just change your password after. When you set this up, be specific and honest about what people are signing up for. Include a line that tells people what they’ll get if they subscribe, how often you’ll email them, and what to expect when they get your emails. Never add people without their permission. That’s gross, and in most countries, it’s actually against the law. In Canada and Europe, you are required to get people to double opt-in. Now that it’s set up, you’ll want to work on creating something that entices people to sign up for your newsletter. Like, the Book Selling Gameplan. Now, here’s what to put in your email newsletter! If you’re in the middle of writing your book, this is the perfect time to test some of that content in your book. An email newsletter doesn’t have to be perfect. You can put out half-baked content and see what people say in response. Take some of the ideas in your book and share them. Make sure it adds value and even entertains. Your newsletter can be short and to the point. People are busy, so the longer your email, the less likely they will absorb what you have to say. Stick to quick tips or content that is easy to digest. You can always link to the more detailed content that’s on your website or elsewhere. Study your email behavior to get a sense of what might work in your newsletter. How much do you read? What catches your eye? What content is of value and prevents you from unsubscribing? Pictures used to be frowned upon, but I find pictures and videos help people get to know you and build a stronger relationship. You also don’t tend to run into the same spam filter issues that used to arise with HTML formatted emails. Jerry Seinfeld’s words of wisdom for authors. People open those emails at record rates. Once you know, they’re opening your emails, monitor whether people are engaging with you or not. Do they click your links? Do they hit reply and chat with you or do they share what you say with others? If not, change it up until you find what’s connecting with your audience. Make your content easy to scan with some formatting and even an image. Be respectful. Add value with every email. Make it fun to read and engage with you. And, most importantly, be consistent! You may only have 10 readers when you start, but if you say your newsletter is monthly just keep doing it! If you skip a week or a month, thinking nobody’s reading it anyways, so it doesn’t matter, your newsletter won’t be the super power selling tool that it should be. Finally, one little itty bitty detail. Decide what mailing address to use. Federal law requires that anyone sending emails in bulk or for marketing purposes include an unsubscribe option and a physical mailing address. Now that you know how to get a newsletter started and what to put in it, you want to find readers! Once your book is published, I highly recommend you include a few strong calls to action to subscribe to your newsletter inside your book. More on that another day. For now, let’s focus on building an audience who will be the first to buy and read your book when it launches. Number one, make sure there’s an opt-in form on every page of your website and that the invitation is engaging. These days you have to offer something that is so valuable people would otherwise pay for it. But it doesn’t have to be an entire book. What about a checklist? A tool? Or a game plan? We have a few we currently offer, and we are building more. You can download our Book Publishing on a Budget workbook right here. Number two, create a squeeze page. You want to have a single page you direct people to when you’re doing interviews or linking at the bottom of a guest post. This page has one goal, and that is to get a reader to sign up for your newsletter. Again, this is why we recommend Convert Kit. They have tremendous resources to help you create a great landing page that will grab attention and email addresses! When you put a link into your book, you also want to send people to a single purpose landing page! If you send people to your website you will lose 99% of the people who go there. You’re much more likely to get opt-ins to a squeeze page than your website because people get distracted by all the other cool stuff on your website and forget to subscribe. Guaranteed, spending some time to create a squeeze page or two will attract far more email addresses than any other form on your website. Number three, treat all people and their emails with respect. When someone gives you their business card, that is not permission to be added to a newsletter. The number one reason email newsletters get a bad reputation is because people break this rule all the time. Just because you connect with someone on LinkedIn or through a conference, that doesn’t mean you have permission to add that person to your list. Ask them for permission, but remember to ask!! Some people will say no, and that is ok, but many people want you to give them your best tips and will say yes. Most importantly, focus on building relationships with people so you can sell your book, build your business, and be top of mind in others. Your email list is going to be the most powerful marketing tool when your book comes out and beyond! Skipping this step is leaving money on the table. I’m Julie Broad, award-winning author and founder of Book Launchers, a fabulous company that will help you write, publish, and sell a non-fiction book to boost your business or grow your brand. Sounds cool to say you’re an award-winning author, doesn’t it? That’s why so many companies offer book award contents … and most of them aren’t worth your money. The Guaranteed Book Award – What?! My colleague thought it was money well spent because everyone in her circle was so impressed she won an award at this fancy looking event. A few clients were impressed she knew the famous guy who wrote the forward. But, to call yourself an ‘award-winning author’ when anyone who pays gets an award … well, that doesn’t sit well with me. The whole situation made me take a closer look at the awards I’d won and other book award contests. 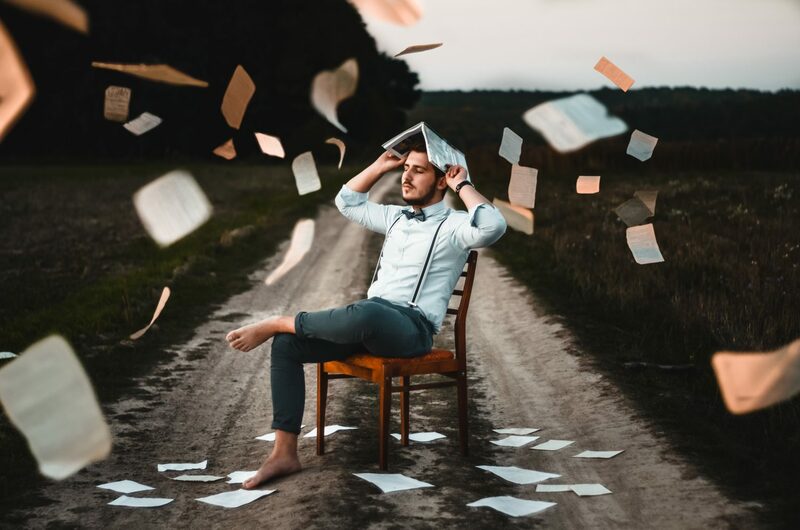 Any company guaranteeing you best-seller status or that you’ll become an award-winning author if you work with them is using a gimmick of some kind to get you that result. There are no guarantees. Nobody knows what will ultimately be a big seller. And you certainly can’t guarantee an award will be won. Seriously, think about it from the perspective of movies. Even when it’s likely a movie will do well, there still are no guarantees. And nobody can say they’ll win an Oscar or an Emmy. It’s impossible to know. There are always surprises. The same thing happens in books. So how can a publishing course or a company guarantee you will become an award-winning author? Simple, they give you the award. Authors everywhere are hungry for exposure, validation, and credibility, so the author award business is huge. My observation isn’t to make you feel bad if you’ve entered your book into book award contests. I spent almost $1,000 entering my two books into contests over a few years. Nobody warned me that so many of these contests were slimy. Winning an award seemed like a great way to gain credibility and exposure. My first book, More Than Cashflow, won an international book award (it is a Canadian real estate investment book). My second, The New Brand You, won the Beverly Hills Book Award for Best Sales book and was a finalist in another contest. These awards aren’t the same as paying someone to give you an award, but it is a for profit business. You pay to enter – which is pretty normal for all the kinds of book award contests. And, I understand that they charge. There are expenses involved in running contests. Plus, if it were free there would be thousands of submissions, and it would be completely unmanageable. Many of the awards don’t give an actual monetary prize for winning – what does the money really go towards? Very few contests disclose who the judges are. Does anybody even read these books? Some of the contests have more than 100 categories to encourage everyone to submit their books. More books = more money made. Almost none of these contests tell you how many books were in your category. You could be a winner in a category of one. And, the worst part of the contest business … when you win, you win the honor of BUYING paraphernalia to showcase that you won. You have to buy stickers, plaques, or other items to show you won. Non-prize prizes, press releases, media announcement, database and website listings were all prizes. And some offer little more than the supposed honor of winning the award. Which is truthfully all I got for being the Beverly Hills winner of the Best Sales book. Awards that honor authors and the community. This probably means they have a low entry fee and aren’t a for profit business. A publicly available list of the judges. Bonus points if they even send comments or feedback on your book after reading it. Actual prizes for the winners. A real prize would be financial compensation or even a physical trophy or plaque sent to you at no charge. 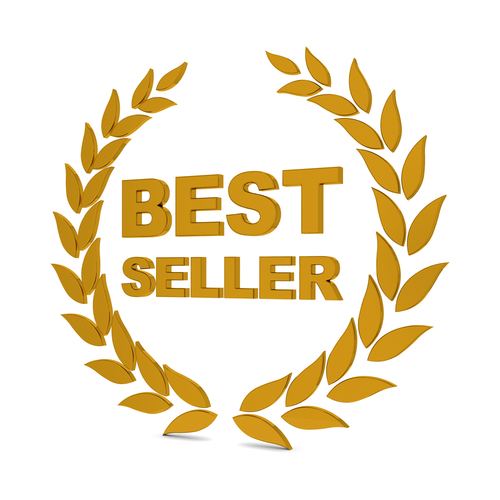 I’m all for opportunities for authors to gain more exposure for their books, but I’ve never met anyone who said: “I saw your book won the award and bought it.” There are better ways to get my book in the hands of the right readers and get the word out about it. That’s probably true for you too! 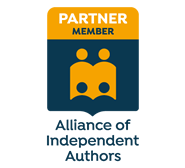 And, if you want to check out the legitimacy of a book award contest before you enter, the Alliance of Independent Authors association has a great list.